I led the design of the Diji-Touch - one of the first Internet of Things. 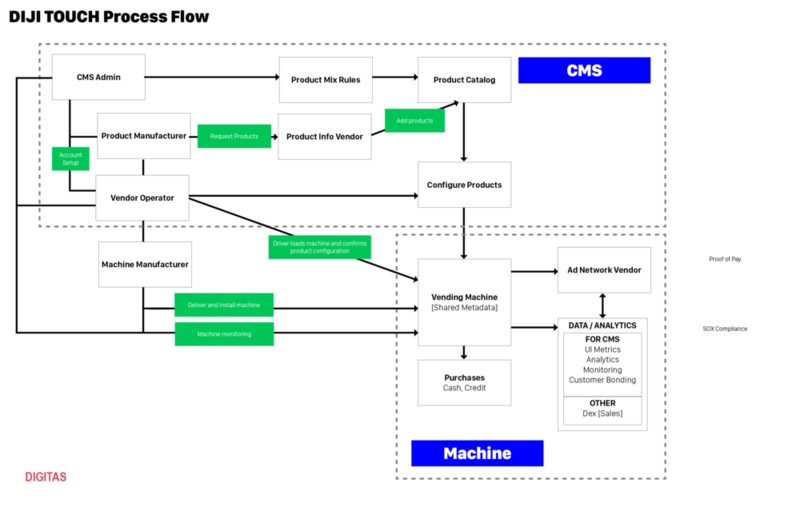 The digital vending machine has a wide variety of technologies and experiences that were developed in silos, and the project was stalled. I used multiple design techniques, and collaborated with many subject matter experts. Then I reviewed the features, built a master flowchart through workshops, created use cases, designed the user experience, and presented the result to the client. We integrated multiple new technologies. A giant touch-screen display handles transactions, while multiple integrated technologies handle eCommerce, advertising, and marketing. Live video ads appear on the screen, drawing customers in. The project was a hit! And we got it done quickly. 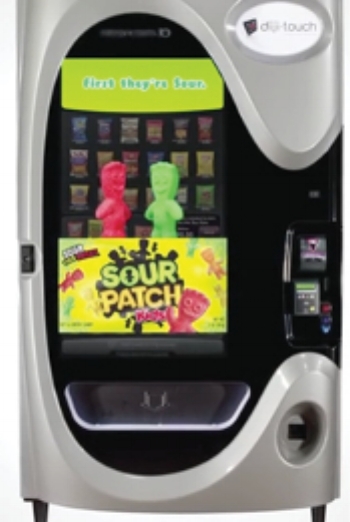 The vending machine has a digital interface, integrated promotional videos, complete logistics, ecommerce, and facial recognition.